Gradually, auto makers and tech firms in the AI self-driving car realm are bringing on-board a Chief Safety Officer or equivalent. It’s not happening fast enough, I assert, yet at least it is a promising trend and one that needs to speed along. 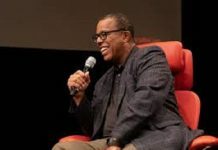 Without a prominent position of Chief Safety Officer, it is doubtful that auto makers and tech firms will give the requisite attention and due care toward safety of AI self-driving cars. I worry too that those firms not putting in place an appropriate Chief Safety Officer are risking not only the lives of those that will use their AI self-driving cars, but also putting into jeopardy the advent of AI self-driving cars all told. In essence, those firms that give lip service to safety of AI self-driving car systems or inadvertently fail to provide the upmost attention to safety, they are likely to bring forth adverse safety events on our roadways, and for which the public and regulators will react not just toward that offending firm, such incidents will become an outcry and overarching barrier to any furtherance of AI self-driving cars. Simply stated, for AI self-driving cars, the chances of a bad apple spoiling the barrel is quite high and something that all of us in this industry live on the edge of each day. Those of you that follow closely my postings will remember that I had previously mentioned the efforts of Chris Hart in the safety aspects of AI self-driving cars. As a former chairman of the NTSB, he brings key insights to what the auto makers and tech firms need to be doing about safety, along with offering important views that can help shape regulations and regulatory actions (see his web site:https://hartsolutionsllc.com/). You might find of interest his recent blog post about the differences between aviation automation and AI self-driving cars, which dovetails too into my remarks about the same topic. Waymo, Google/Alphabet’s entity well-known for its prominence in the AI self-driving car industry, has also brought on-board a Chief Safety Officer, namely Debbie Hersman. Besides her having served on the NTSB and having been its chairman, she also was the CEO and President of the National Safety Council. It was with welcome relief that she has come on-board to Waymo since it also sends a signal or sign to the rest of the AI self-driving car makers that this is a crucial role and one they too need to make sure they are embracing if they aren’t already doing so. 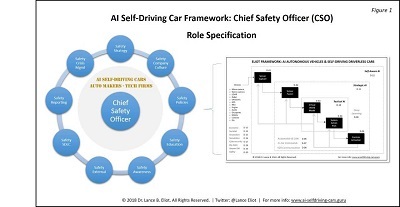 I have found it useful to clarify what I mean by the role of a Chief Safety Officer in the context of a firm that has an AI-based product or service, particularly such as the AI self-driving car industry. Take a look at my Figure 1. As shown, the Chief Safety Officer has a number of important role elements. These elements all intertwine with each other and should not be construed as independent of each other. They are an integrated mesh of the space of safety elements needed to be fostered and led by the Chief Safety Officer. Allowing one of the elements to languish or be undervalued is likely to undermine the integrity of any safety related programs or approaches undertaken by a firm. I’ll next describe each of the elements. I’m going to focus on the AI self-driving car industry, but you can hopefully see how these can be applied to other areas of AI that involve safety-related AI-based products or services. Perhaps you make AI-based robots that will be working in warehouses or factories, etc., which these elements would then pertain to equally. I am also going to omit the other kinds of non-AI safety matters that the Chief Safety Officer would likely encompass, which are well documented already in numerous online Chief Safety Officer descriptions and specifications. Here’s a brief indication about each element. The Chief Safety Officer establishes the overall strategy of how safety will be incorporated into the AI systems and works hand-in-hand with the other top executives in doing so. This must be done collaboratively since the rest of the executive team must “buy into” the safety strategy and be willing and able to carry it out. Safety is not an island of itself. Each of the functions of the firm must have a stake in and will be required to ensure the safety strategy is being implemented. The Chief Safety Officer needs to help shape the culture of the company to be on a safety-first mindset. 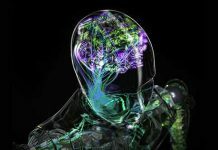 Often times, AI developers and other tech personal are not versed in safety and might have come from a university setting wherein AI systems were done as prototypes, and safety was not a particular pressing topic. Some will even potentially believe that “safety is the enemy of innovation,” which is at times a rampant false belief. 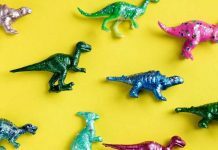 The company culture might require some heavy lifting and has to be done in conjunction with the top leadership team and done in a meaningful way rather than a light-hearted or surface-level manner. The Chief Safety Officer should put together a set of safety policies indicating how the AI systems need to be conceived of, designed, built, tested, and fielded to embody key principles of safety. These policies need to be readily comprehensible and there needs to a clear-cut means to abide by the policies. If the policies are overly abstract or obtuse, or if they are impractical, it will likely foster a sense of “it’s just CYA” and the rest of the firm will tend to disregard the policies. The Chief Safety Officer should identify the kinds of educational means that can be made available throughout the firm to increase an understanding of what safety means in the context of developing and fielding AI systems. This can be a combination of internally prepared AI safety classes and externally provided ones. 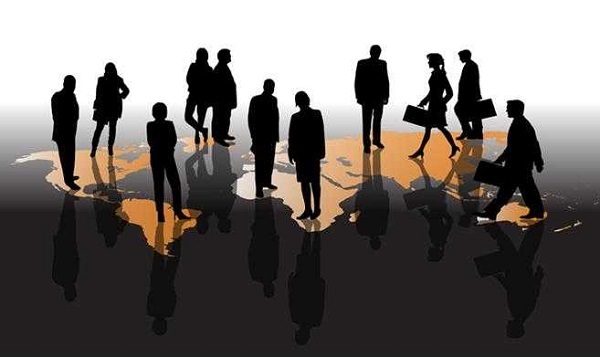 The top executives should also participate in the educational programs to showcase their belief in and support for the educational aspects, and they should work with the Chief Safety Officer in scheduling and ensuring that the teams and staff undertake the classes, along with follow-up to ascertain that the education is being put into active use. The Chief Safety Officer should undertake to have safety awareness become an ongoing activity, often fostered by posting AI safety related aspects on the corporate Intranet, along with providing other avenues in which AI safety is discussed and encouraged such as brown bag lunch sessions, sharing of AI safety tips and suggestions from within the firm, and so on. This needs to be an ongoing effort and not allow a one-time push of safety that then decays or becomes forgotten. The Chief Safety Officer should be proactive in representing the company and its AI safety efforts to external stakeholders. This includes doing so with regulators, possibly participating in regulatory efforts or reviews when appropriate, along with speaking at industry events about the safety related work being undertaken and conferring with the media. As the external face of the company, the CSO will also likely get feedback from the external stakeholders, which then should be refed into the company and be especially discussed with the top leadership team. The Chief Safety Officer should help ensure that the Systems Development Life Cycle (SDLC) includes safety throughout each of the stages. This includes whether the SDLC is agile-oriented or waterfall or in whatever method or manner being undertaken. Checkpoints and reviews need to include the safety aspects and have teeth, meaning that if safety is either not being included or being shortchanged, this becomes an effort stopping criteria that cannot be swept under the rug. It is easy during the pressures of development to shove aside safety portions and coding, under the guise of “getting on with the real coding,” but that’s not going to cut it in AI systems involving life-or-death systems consequences. The Chief Safety Officer needs to put in place a means to keep track of safety aspects that are being considered and included into the AI systems. This is typically an online tracking and reporting system. Out of the tracking system, reporting needs to be made available on an ongoing basis. This includes dashboards and flash reporting, which is vital since if the reporting is overly delayed or difficult to obtain or interpret, it will be considered “too late to deal with” and the cost or effort to make safety related corrections or additions will be subordinated. The Chief Safety Officer should establish a crisis management approach to deal with any AI safety related faults or issues that arise. Firms often seem to scramble when their AI self-driving car has injured someone, yet this is something that could have been anticipated as a possibility, and preparations could have been made beforehand. The response to an AI safety adverse act needs to be carefully coordinated and the company will likely be seen as either doing sincere efforts about the incident or if ill-prepared might make matters untoward and undermine the company efforts and those of other AI self-driving car makers. In the Figure 1, I’ve also included my framework of AI self-driving cars. Each of the nine elements that I’ve just described can be applied to each of the aspects of the framework. For example, how is safety being included into the sensors design, development, testing, and fielding? 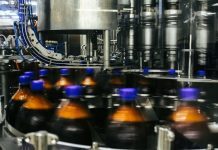 How is safety being included into the sensor fusion design, development, testing, and fielding? How is safety being included into the virtual world model design, development, testing, and fielding. You are unlikely to have many safety related considerations in say the sensors if there isn’t an overarching belief at the firm that safety is important, which is showcased by having a Chief Safety Officer, and by having a company culture that embraces safety, and by educating the teams that are doing the development about AI safety, etc. This highlights my earlier point that each of the elements must work as an integrative whole. Suppose the firm actually does eight of the elements but doesn’t do anything about how to incorporate AI safety into the SDLC. What then? This means that the AI developers are left to their own to try and devise how to incorporate safety into their development efforts. They might fumble around doing so, or take bona fide stabs at it, though it is fragmented and disconnected from the rest of the development methodology. Furthermore, worse still, the odds are that the SDLC has no place particularly for safety, which means no metrics about safety, and therefore the pressure to not do anything related to safety is enhanced, due to the metrics measuring the AI developers in other ways that don’t necessarily have much to do with safety. The point being that each of the nine elements need to work collectively. At the Cybernetic AI Self-Driving Car Institute, we are developing AI software for self-driving cars. We consider AI safety aspects as essential to our efforts and urge auto makers and tech firms to do likewise. Though I often tend to focus more so on the true Level 5 self-driving car, the safety aspects of the less than Level 5 are especially crucial right now. 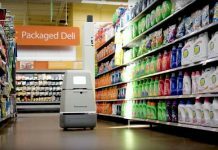 I’ve repeatedly cautioned that as the Level 3 advanced automation becomes more prevalent, which we’re just now witnessing coming into the marketplace, we are upping the dangers associated with the interfacing between AI systems and humans. This includes issues associated with cognitive disconnects of AI-humans and the human mindset dissonance, all of which can be disastrous from a safety perspective. Co-sharing and hand-offs of the driving task, done in real-time at freeway speeds, nearly points a stick in the eye of safety. Auto makers and tech firms must get ahead of the AI safety curve, rather than wait until the horse is already out of the barn and it becomes belated to act. Returning to the safety topic, let’s consider some additional facets. I’ve listed some of the publicly available documents that are a useful cornerstone to getting up-to-speed about AI self-driving car safety. The U.S. Department of Transportation (DOT) NHTSA has provided two reports that I especially find helpful about the foundations of safety related to AI self-driving cars. Besides providing background context, these documents also indicate the regulatory considerations that any auto maker or tech firm will need to be incorporating into their efforts. Both of these reports have been promulgated under the auspices of DOT Secretary Elaine Chao. As a former university professor, I too used to do research while at my university and also did so via an outside company. It’s a great way to try and infuse the core foundational research that you typically do in a university setting with the more applied kind of efforts that you do while in industry. I found it a handy combination. Philip and I seem to also end-up at many of the same AI self-driving car conferences and do so as speaker, panelists, or interested participants. For those Chief Safety Officers of AI self-driving car firms that I’ve not mentioned herein, you are welcome to let me know that you’d like to be included in future updates that I do on this topic. Plus, if you have safety reports akin to the ones I’ve listed, I welcome taking a look at those reports and will be glad to mention those too. One concern being expressed about the AI self-driving car industry is whether the matter of safety is being undertaken in a secretive manner that tends to keep each other of the auto makers or tech firms in the dark about what the other firms are doing. When you look at the car industry, clearly it is apparent that the auto makers have traditionally competed on their safety records and used that to their advantage in trying to advertise and sell their wares. 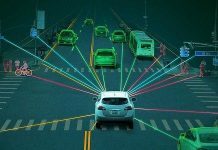 Critics have voiced that if the AI self-driving car industry perceives itself to also be competing with each other on safety, naturally there would be a basis to purposely avoid sharing about safety aspects with each other. You can’t seemingly have it both ways, in that if you are competing on safety then it is presumed to be a zero-sum game, those that do better on safety will sell more than those that do not, and why help a competitor to get ahead. This mindset needs to be overcome. As mentioned earlier, it won’t take much in terms of a few safety related bad outcomes to potentially stifle the entire AI self-driving car realm. If there is a public outcry, you can expect that this will push back at the auto makers and tech firms. The odds are that regulators would opt to come into the industry with a much heavier hand. Funding for AI self-driving car efforts might dry up. The engine driving the AI self-driving car pursuits could grind to a halt. There are efforts popping up to try and see if AI safety can become more widespread as an overt topic in the AI self-driving car industry. It’s tough though to overcome all of those NDA (Non-Disclosure Agreements) and concerns that proprietary matters might be disclosed. Regrettably, it might take a calamity to get enough heat to make things percolate more so, but I hope it doesn’t come down to that. The adoption of Chief Safety Officers into the myriad of auto makers and tech firms that are pursuing AI self-driving cars is a healthy sign that safety is rising in importance. These positions have to be adopted seriously and with a realization at the firms that they cannot just put in place a role to somehow checkmark that they did so. For Chief Safety Officers to do their job, they need to be at the top executive table and be considered part-and-parcel of the leadership team. 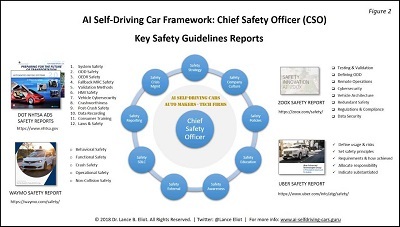 I am also hoping that these Chief Safety Officers will bind together and become an across-the-industry “club” that can embrace a safety sharing mantra and use their positions and weight to get us further along on permeating safety throughout all aspects of AI self-driving cars. Let’s make that into reality.